"THE REVOLUTION is 'Peter Pan' for grownups. 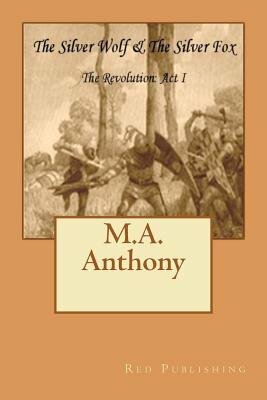 It's a delightful blend of intrigue and rollicking wit; and more than one revolution is brewing in this novel. THE REVOLUTION is a literary work destined for most collections." -- Morgan Review "Where have all the great novels gone? Well, this is one of them. THE REVOLUTION calls to mind authors such as Robert Jordan and George R. R. Martin, authors whose novels broke through longstanding industry storylines to become eagerly received and bestsellers. Bravo " -- The Midwest Rag Bartholomew the playwright questions the identity of the man who suddenly barges into his tenement with a grand story in tow. Is he who he claims: Viscount Meris of Chauster, hero of The Revolution, the war that ended the tyranny of Emperor Eridan Ampur and the emperor's mastery over the dragons; or is he a common foot soldier, one too familiar with taverns? Nevertheless Viscount Meris is wanted for treason, while Bartholomew remains an unknown to the major playhouses. After hours of storytelling, the visitor's story trends from grand to impossible. He tells of saints, some wicked, others maddeningly dull, double-crossing pixies, voyages into the mysterious Far Unknown and encounters with its denizens. As the visitor falls asleep on Bartholomew's cot, Bartholomew leaves for his job at the local inn. Bartholomew returns in the evening to find his tenement upturned and blood drops across the floorboards, clear signs of a struggle. He also discovers that his coin purse and cat are missing? Bartholomew investigates, plunging himself into a second revolution and into a world most uncommon.